Injuries are a common risk when you participate in sports. They can occur for a number of reasons and affect various parts of your body. Certain types of sports injuries are much more common than others. Sprained ankles are one of the most common types of sports injuries. These sprains usually happen when your foot turns and causes the ligaments on the outer part of your ankle to tear. This leads to pain, swelling and bruising. Typical treatment methods for sprained ankles involve rest, pain relievers, ice, elevation and compression. Hamstring sprains occur when the muscles in the back of your thigh are stretched too much. This usually happens from sprinting or hurdling. These sprains cause sharp pain in the hamstring area. They can take up to 12 months to fully heal and are usually treated with rest, ice and elevation. Compression bandages and nonprescription pain relievers can also help. Shin splints are characterized by pain in the front of your lower legs. This condition usually occurs after running or participating in sports that cause you to make sudden starts and stops, like basketball. Having too much force on your shinbone and the tissues that connect your bones and muscles leads to shin splints. This condition is usually treated with ice, rest and nonprescription pain relievers. 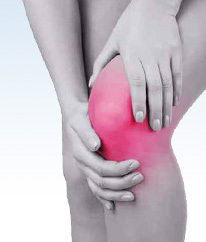 Making sudden stops or getting hit can cause the anterior cruciate ligament that connects your knee and leg bone to tear. ACL tears can be partial or complete. They are one of the most serious sports injuries and require surgery to repair the tear in some cases. If the condition isn’t severe, physical therapy can be used as the main form of treatment. Tennis elbow, or epicondylitis, occurs when you move your elbow in a repetitive motion that causes your tendons to tear. 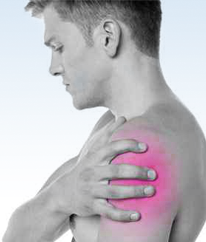 This leads to pain and irritation in the affected elbow. Common movements that can lead to this condition include swinging a tennis racket or golf club. 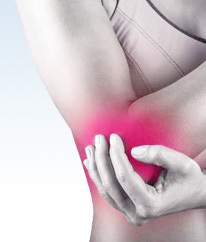 Tennis elbow is generally treated with rest and nonprescription pain relievers.